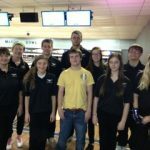 The Lakota East Bowling Team needs boys and girls for this years teams. The East Bowling Coach will be at the school during lunch tomorrow (Wednesday, November 20th) with information. Come join our team! Picture days for Winter Athletes will be: Thursday, November 14 & Monday, November 18. More information will be coming soon from Winter Coaches.